Matthew Apgar - mapgar@shawmedia.com Huntley's Paige Renkosik, center, shoots over Michelle Benson, right, and Karli Heneghan of Conant during their girls basketball game on Tuesday, Dec. 8, 2015, at Huntley High School in Huntley. 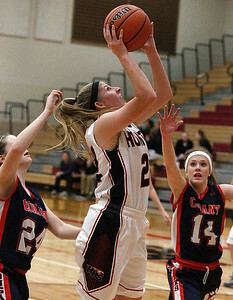 Huntley (9-0) won the game 55-24 with Ali Andrews sinking her 2,000th career point. Matthew Apgar - mapgar@shawmedia.com Huntley's Ali Andrews, right, steals the ball away from Karli Heneghan of Conant during their girls basketball game on Tuesday, Dec. 8, 2015, at Huntley High School in Huntley. Huntley (9-0) won the game 55-24 with Ali Andrews sinking her 2,000th career point. 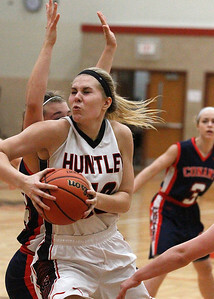 Matthew Apgar - mapgar@shawmedia.com Ali Anderson of Huntley drives to the hoop through Conant during their girls basketball game on Tuesday, Dec. 8, 2015, at Huntley High School in Huntley. 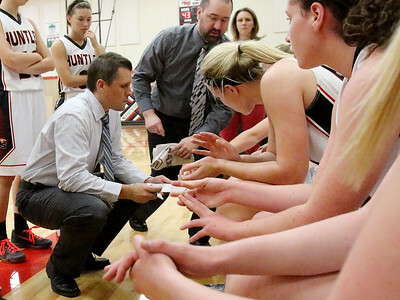 Huntley (9-0) won the game 55-24 with Ali Andrews sinking her 2,000th career point. Matthew Apgar - mapgar@shawmedia.com Huntley's Ali Andrews takes the ball to the hoop past Michelle Benson of Conant during their girls basketball game on Tuesday, Dec. 8, 2015, at Huntley High School in Huntley. 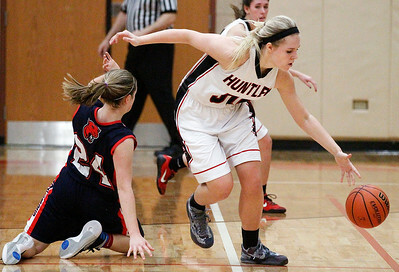 Huntley (9-0) won the game 55-24 with Ali Andrews sinking her 2,000th career point. Matthew Apgar - mapgar@shawmedia.com Huntley's Ali Andrews shoots over Jorie Wachal of Conant during their girls basketball game on Tuesday, Dec. 8, 2015, at Huntley High School in Huntley. 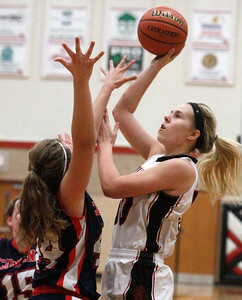 Huntley (9-0) won the game 55-24 with Ali Andrews sinking her 2,000th career point. 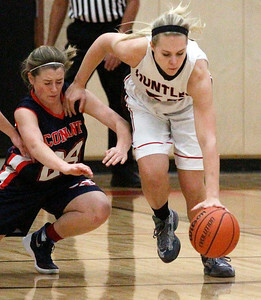 Matthew Apgar - mapgar@shawmedia.com Huntley's Ali Andrews steals the ball away from Karli Heneghan of Conant during their girls basketball game on Tuesday, Dec. 8, 2015, at Huntley High School in Huntley. 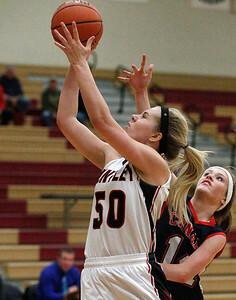 Huntley (9-0) won the game 55-24 with Ali Andrews sinking her 2,000th career point. 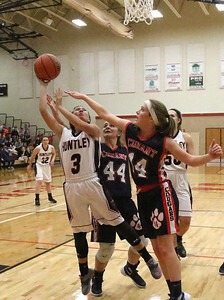 Matthew Apgar - mapgar@shawmedia.com Huntley's Mallory Moffett, center, tries to gain control of the rebound with Conant's Megan Kasabian, left, and Christina Dizonno, right, during their girls basketball game on Tuesday, Dec. 8, 2015, at Huntley High School in Huntley. 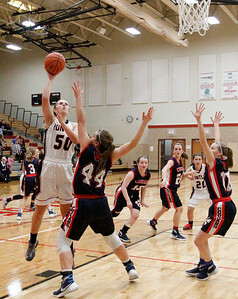 Huntley (9-0) won the game 55-24 with Ali Andrews sinking her 2,000th career point. Matthew Apgar - mapgar@shawmedia.com Huntley coach Steve Raethz talks with the team during a timeout against Conant during their girls basketball game on Tuesday, Dec. 8, 2015, at Huntley High School in Huntley. Huntley (9-0) won the game 55-24 with Ali Andrews sinking her 2,000th career point. Matthew Apgar - mapgar@shawmedia.com Huntley Red Raiders applaud their teammate, Ali Andrews, center, during a timeout acknowledging her 2,000th career point, which was scored against Conant during their girls basketball game on Tuesday, Dec. 8, 2015, at Huntley High School in Huntley. Huntley (9-0) won the game 55-24. Matthew Apgar - mapgar@shawmedia.com Huntley's Alexis Lowitzki, left, shoots the ball up over Jorie Wachal, center, and Michelle Benson of Conant during their girls basketball game on Tuesday, Dec. 8, 2015, at Huntley High School in Huntley. Huntley (9-0) won the game 55-24 with Ali Andrews sinking her 2,000th career point. 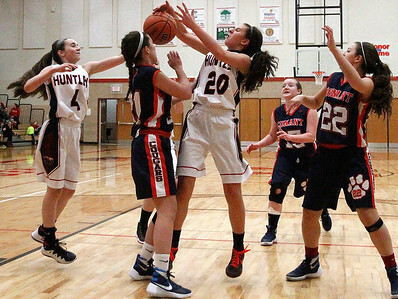 Huntley's Ali Andrews takes the ball to the hoop past Michelle Benson of Conant during their girls basketball game on Tuesday, Dec. 8, 2015, at Huntley High School in Huntley. 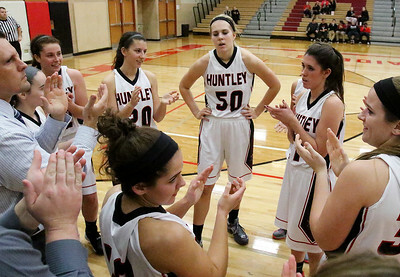 Huntley (9-0) won the game 55-24 with Ali Andrews sinking her 2,000th career point.